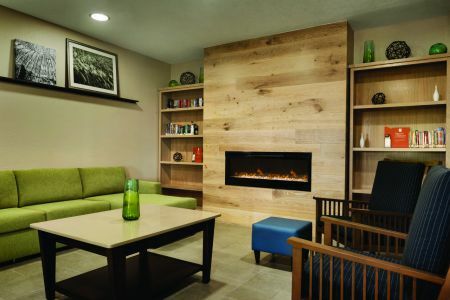 Make the Country Inn & Suites® by Radisson, Coralville, IA your home base near Iowa City, where you can attend University of Iowa games at Carver-Hawkeye Arena or Kinnick Stadium. 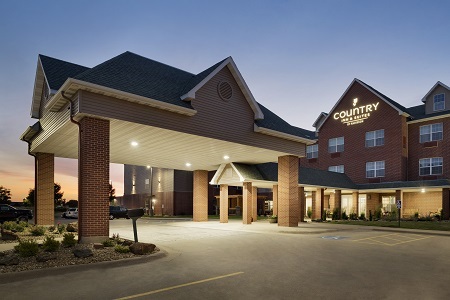 Located off I-80, the hotel gives you easy access to the shops at Coral Ridge Mall and the hands-on activities at The Iowa Children’s Museum, both about a mile away. 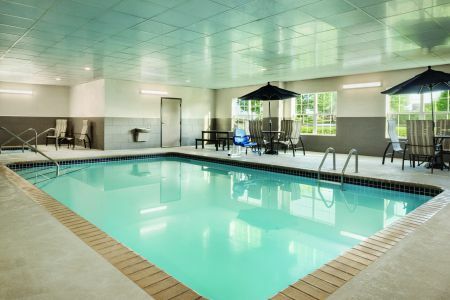 Continue your family fun back at the hotel by relaxing in the indoor pool and hot tub. Enhance the romance when you book our Whirlpool Suite, which features a king bed, a seating area and a two-person whirlpool. Mornings are delightful thanks to our complimentary, hot breakfast, featuring waffles, pancakes, cereals, and a rotating selection of items like sausage and eggs. As you sip your coffee, catch the day’s headlines in a free weekday USA TODAY® newspaper. For lunch or dinner, try one of the many nearby restaurants, such as Culver’s, Chez Grace or One Twenty Six, where you can savor French-inspired cuisine paired with the perfect wine. The Iowa Children’s Museum – Put a smile on your child’s face when you visit this interactive museum just over a mile from the hotel. In one afternoon, your kids can shop for groceries, play a piano and drive a replica fire engine. The Englert Theatre – In less than 15 minutes, you can reach the Englert Theatre for theatrical, dance and musical performances. Acts range from folk and alternative music to comedy shows and literature lectures. Amana Colonies – Browse handcrafted furniture, art and home goods spread among seven villages that make up this National Historic Landmark. You can also find plenty of on-site dining options, such as Ronneburg Restaurant. Is your student graduating from the University of Iowa? 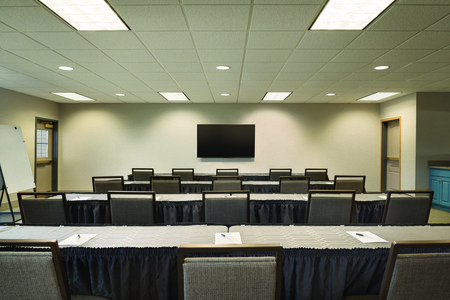 Host a graduation party for up to 80 guests in our meeting space. You can showcase your student with the help of our audiovisual tools and free Wi-Fi. 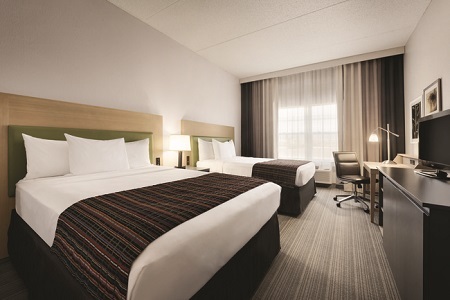 If you’re visiting with a sports team, you can take advantage of the special benefits we offer as a Radisson Sports Approved hotel.